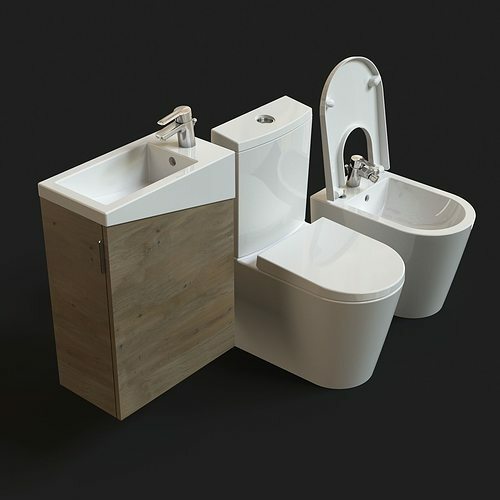 3D model of Plus sanitaryware by Urb.Y 3ds Max 2012 models comes fully shaded and ready-to-use for the Vray renderer and for the Corona renderer. There are also .fbx and .obj files and all neccesary textures. Modeled in realistic sizes (centimeters) and proportions. All objects and materials are properly named. polys: 330538 verts: 328302 File Formats: - 3ds Max 2012 V-Ray 3.0 and Corona 1.2 - OBJ - FBX Previews were rendered with Corona renderer. No post-work has been done to any of the images. Hope you like it! Thank your for the free model!